The Case that Dare Not Speak Its Name: The Conviction of Cardinal Pell - Integration Through Media ....! It had been shrouded in secrecy akin to the deepest conspiracy, but the trial of Cardinal George Pell, while not letting much in the way of publicity in Australia, was always going to interest beyond the walls of the Victorian County Court. This was the legal system of a country, and more accurately a state of that country, glancing into the workings of the world’s first global corporation and its unsavoury practices. The Catholic Church, in other words, had been subjected to a stringent analysis, notably regarding the past behaviour of one of its anointed sons. Cardinal Pell, a high-ranking official of the Catholic Church and financial grand wizard of the Vatican, was found guilty on December 11 of historical child sexual abuses pertaining to two choir boys from the 1990s. But details remain sketchy. We know, for instance, that the number of charges was five, and that the trial has been designated “the cathedral trial”. We also know that a first trial failed to reach a verdict. Scrutiny from the Australian press gallery and those who had been victims of sexual abuse at the hands of priests over the years, was limited for reasons peculiar to this country’s ambivalence to open discourse. They were told that would be so. The Pell case is a classic instance of suppression laws in action and, more particularly, their appeal in the Victorian jurisdiction that was not dimmed with the passage of the Open Courts Act 2013 (Vic). Section 4 of the Act noting “a presumption in favour of disclosure of information to which a court or tribunal must have regard in determining whether to make a suppression order” has proven a fairly weak exercise. The suppression order issued by the Victorian County Court is still in force, covering “all Australian states and territories” and “any website or other electronic or broadcast format accessible within Australia”. 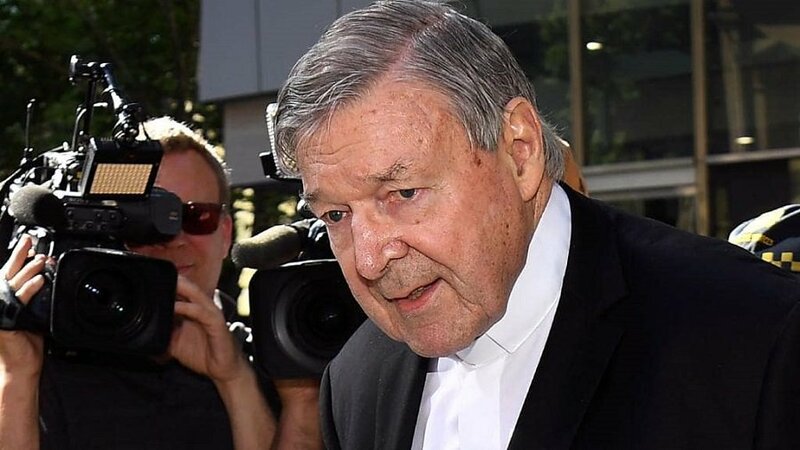 The reason lies in a connected trial, known as the swimmers’ trial, in which Pell is also being tried for allegedly abusing two other boys at a Ballarat swimming pool in Victoria during the 1970s, proceedings of which will take place in late February or early March. Other Australian outlets have also been cowed. Josh Butler of 10 Daily sounded anguished. “We’d like to tell you what happened, instead of speaking in riddles, but our legal system – specifically, the legal system of one Australian state – forbids us from telling you.” In the words of feminist and voluble website Mamamia, “we too cannot report on the person’s identity or the crime they have been found guilty of.” Spot the Australian in question, but in heaven’s name do not mention him in Australia proper. The pathology of suppression proves irresistible. It was left to foreign press services to run with the story, or not, as it were, leaving an absurd spectacle of neurotic meanderings in its wake. Some agencies, like Reuters and Associated Press, played the cautious card and resisted temptation. Reuters’ spokeswoman, Heather Carpenter, insisted that Reuters was “subject to the laws of the countries in which we operate”. In a global, relentless information environment, one accessible at the search on a phone, suppression orders retain an anachronistic insensibility. When it comes to matters concerning an individual of such standing and influence as Cardinal Pell, including the clandestine institution he has represented for decades, the courts risk looking all too cosy with creatures of power. While barristers rightly seek to defend their clients and hope, often elusively, for that fair trial to be extracted from a prejudiced milieu, such court directives smack of theatrical illusion rather than impact. Imposing suppression orders can be a case less of assisting the accused have a fair trial than preventing discussing what is already available. To make them function in any effectual manner would be to select jurors hermetic and immune to the Internet or an interest in foreign news sources – a nigh impossible task. Victoria’s judges, like King Canute, are attempting to control the tide in vain.